Ann passed away in the loving care of Niagara Hospice surrounded by her family. She is survived by her children, Rodger (Viola), Bob (Norma) and Cheryl Cimini, 6 grandchildren, Bobby (Jen) Cimini, Susan (Mike) Paolini, Joanne (Jerry) Miller, Dennis Cimini, Carrie (Brian) Mills, Michael (Marissa) Cimini, Step grandchildren, Richard Wolanske and Lisa Torcasio, 12 great grandchildren, 1 great-great granddaughter and 1 brother Alec(Julie) Worek and several nieces and nephews. She was predeceased by her husbands Roger Cimini and John Lorence, daughter-in-law Nellie Salerno Cimini, sisters Helen, Mary and Dorothy and 2 brothers Steve and Joe. Ann was born in New Castle, PA to Andrew and Catherine Worek. She met her future husband there and they moved to Niagara Falls and Married in 1941. 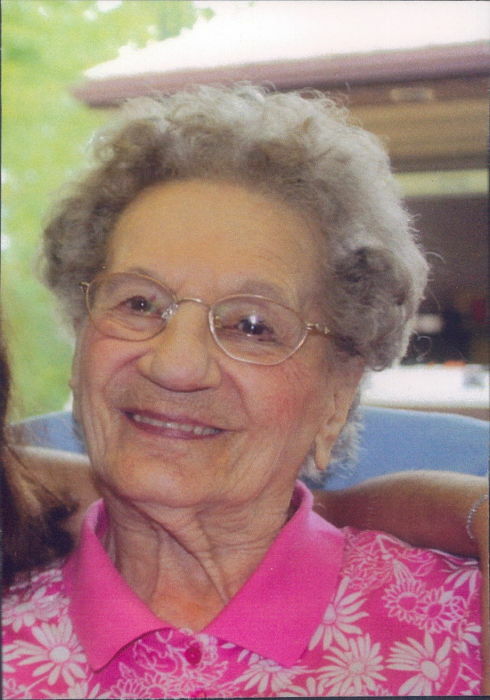 Ann enjoyed cooking and baking and is most remembered for her Sunday spaghetti and meatball dinners. She loved spending time with her family and her dog, Sammy. Her kind and generous spirit was always present to those in her life. She worked as a school bus driver for Niagara Wheatfield for 23 years and as a Food Demonstrator for Tops Markets. Ann had great faith in her God, Jehovah, and looks forward to his promise of living forever on a paradise earth. Visitation with the family will be held Saturday, September 1st, between 2:00 - 4:00 PM, immediately followed by a service at 4:00 at the Kingdom Hall of Jehovah's Witnesses at 2099 River Rd. In lieu of flowers, donations may be made to the Kingdom Hall of Jehovah’s Witness or Niagara Hospice. Arrangements are under the direction of Michael R. Goodlander of OTTO REDANZ FUNERAL HOME, 2215 MILITARY ROAD, NIAGARA FALLS, NY. Please visit www.goodlandercares.com for online condolences.